We live in an era where hailing a cab is no longer a matter of luck. Just a few taps on an Uber-like app and users can book a taxi within mere seconds. While this revolution has most certainly been a boon for the passengers, it has made it quite challenging for a taxi business to keep up with the trend. Uber clone taxi booking software has been the saviour for such troubled owners. Key industry players vouch for a taxi app like Uber to provide quick online booking facilities for their customers, while they depend on a taxi dispatch software to expedite their business activities. 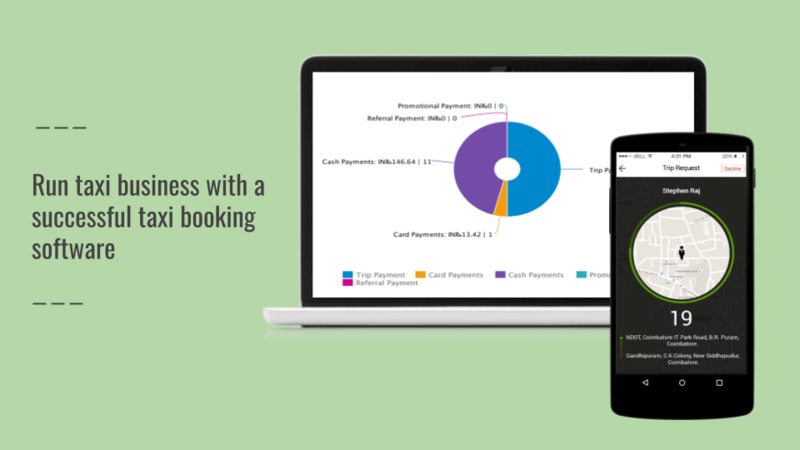 Let’s take a look at how a taxi booking software makes a difference in running your business. Here’s one thing you need to know – your customers are fickle masters. If they aren’t satisfied with the service, they will switch to the next best thing in an instant. So, it is crucial for taxi businesses to meet customers’ demands on time. Uber clone taxi apps are a great way to address bookings instantly. Also, with features such as GPS tracking, your drivers can easily reach the passengers and offer services quickly and efficiently. By providing smooth customer experience, your business can retain customers. Nowadays, traditional dispatching systems are having a tough time matching up to the growing booking frequency. With a taxi booking software, dispatchers can instantly allocate drivers to the nearest booking location. Also, this online solution removes any manual inefficiencies occurred while sharing the customer location by sending detailed notifications to the driver application. Taxi owners can now oversee daily expeditions, revenue generated, current vehicle location, driver activities and overall operations from a single platform. With such insightful data, owners can take crucial management decisions. Once your taxi business is up-and-running, you need to focus on improving your revenue. Uber clone taxi apps play a major role in monitoring operational expenses such as overhead costs, overtime expenditure, vehicle repair costs, and more. Once you start identifying cost-draining areas, it will become easier to improve your profits. The key to surviving this competitive transportation industry is by being technologically-advanced. Reap the benefits of a taxi booking software to operate a successful business.